As 2014 draws to a close, I look back and find myself thinking “huh, not much happened” but that isn’t the whole case. This past year, a few big things did happen, even if there is no physical evidence. Mr. LL and I tried to begin the hunt for a house. Only to discover that we can’t fufill that dream right now. It was a disheartening experience and some of my fears that were giving me the worst anxiety came true. But all we can do is work harder towards this goal. We had some other struggles this year with family getting sick. We spent a lot of time in hospitals at one point, this year. Then we spent a lot of time trying to help and encourage people to get better and do better. In the end, you can only help those who are willing to help themselves. 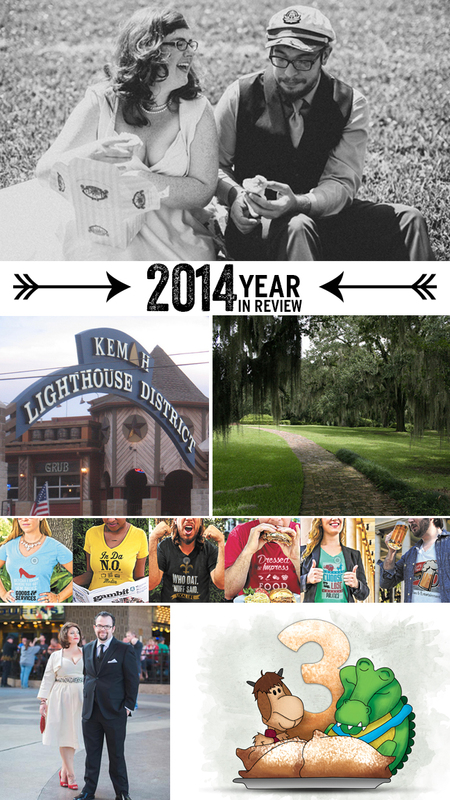 But there were some highlights to 2014, as well. Mr. LL and I celebrated being married for one year. 🙂 We took a trip to a place we’d never been before (or heard of before) and had an amazing time in Kemah, TX. Speaking of marriage, my big brother and my friend Diana got married this year, back in March. I now have a new sister and a new nephew in my little side family (speaking comparatively to Mr. LL’s gigantic family). Mr. LL and I also took a trip to St. Francisville, LA, for some much needed (and last minute) R&R. It was beautiful and quiet. I hope we can go back someday. I got to stretch my photography skills at my day-job this year, too. That was so much fun and I really hope I get more opportunities to do those kind of projects again. While we are on the subject of projects, I cannot reflect on 2014 without talking about the biggest thing that happened to me, personally, this year. My friend and former co-worker, Megan Braden-Perry reached out to me to illustrate her first children’s book. It was an amazing experience to work with her and to see this book go through the stages. This project even led another person with a children’s book to contact me to illustrate it (however, after the initial meeting and proposal, I’ve never heard from them again–they weren’t ready to undertake this project, IMO). So, farewell to 2014. I hope for better things to come in 2015. I am taking a break from the blog. Sort of. What I mean to say is, I am making some pretty significant changes to the blog and so I won’t be posting as much for awhile. I will try to still post a few things, but they may be abbreviated versions of my regular posts or there will be days that I don’t post at all. I hope to be back to blogging regularly on January 19th. Have a Happy New Year!